Rain shower heads improve your shower experience and bring a luxurious feeling of being in the rain. Available in round or square shapes, and chrome and matte black. 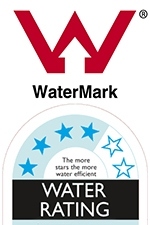 All shower heads and arms are of course fully compliant with a WELS rating and Watermark certification. Equip your shower head with a matching shower arm. Easy to install as it connects to AU/NZ standard ½ inch outlets. Available for wall mounts and ceiling mounts, and in luxury chrome or black matte finishes.